Mr. Nashville: BRENDA LEE NO. 1 ON BILLBOARD COUNTRY STREAMING CHART WITH "ROCKIN' AROUND THE CHRISTMAS TREE"
BRENDA LEE NO. 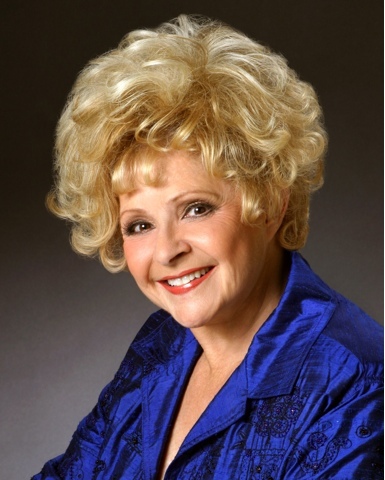 1 ON BILLBOARD COUNTRY STREAMING CHART WITH "ROCKIN' AROUND THE CHRISTMAS TREE"
NASHVILLE, Tenn. (December 23, 2015) – Iconic entertainer Brenda Lee dashes to the top of the charts with “Rockin Around the Christmas Tree” at No. 1 on Billboard’s Country Streaming Songs and hits the top forty on the Billboard Hot 100 for the first time since 1961. The Christmas standard landed in the Hot 100's top 40 for the first time since Jan. 7, 1961, when it placed at No. 18 and peaked at No. 14 the week of Dec. 31, 1960. It’s Lee’s return to the top 40 with any record since 1967 when she went to 37 with Ride, Ride, Ride. Most recently, “Rockin’ Around the Christmas Tree” remained at No. 1 on the Billboard Holiday Airplay charts. “It’s amazing how that song continues to resonate with every age group and just about everybody. I was just a kid when we recorded ‘Rockin Around the Christmas Tree’ and it makes me feel so good knowing it still brings Christmas joy to others,” Lee said. The Country Music Hall of Famer recorded “Rockin’ Around the Christmas Tree,” written by Johnny Marks (“Rudolph the Red Nosed Reindeer,” “A Holly Jolly Christmas”), when she was 13 years old. The tune was originally released in 1958. Lee, who celebrated her 71st birthday Dec. 11, is enjoying the holidays at her Nashville home after performing for a packed crowd during the Country Music Hall of Fame and Museum’s Deck the Hall concert series. Known as “Little Miss Dynamite,” Lee has sold more than 100 million records worldwide and charted in more categories – including pop, rhythm & blues, rock, easy listening and country – than any other women in the history of recorded music. She’s been inducted into the Country Music Hall of Fame, Rock and Roll Hall of Fame and Rockabilly Hall of Fame.